When I was in middle school, an awe inspiring shipment arrived at our door in New Hampshire: an entire barrel full olive oil from Yithion, Greece. This wasn’t just any olive oil; it happened to be from my great aunt and uncle’s own olive grove. Getting the oil here was no easy feat. My mother spent weeks on the phone with my grandmother debating logistics. Will it get through customs? Will the barrel leak? Will the oil spoil? It was a long saga that ended fruitfully in several years worth of some of the best olive oil to touch my lips. I assure you, even the most pristine first cold press olive oil tastes even better when it is from your own families’ grove. I’ve never actually been to Greece, which is truly a shame. The closest I’ve come is Istanbul (not the same, I know), where my Grandmother (half Greek) lives with her Greek Orthodox Icons hanging prominently next to her Jewish Hamsah (hand icons), next to the Turkish Boncuk (blue evil eye). I will proudly claim my different lineages, particularly when food is involved. Tasting that olive oil for the first time, I knew Greece was a part of me. When I finally make it there I will gorge myself on olives and feta, wild horta greens, and fish from the sea, and I will be very, very happy. But, back to New England. 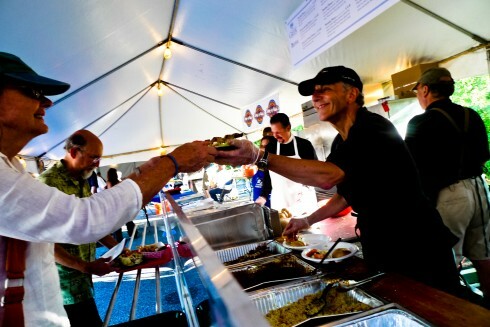 A glorious event takes place in Portsmouth, New Hampshire that allows me to get my Greek on every year: the St. Nicholas Greek Festival. 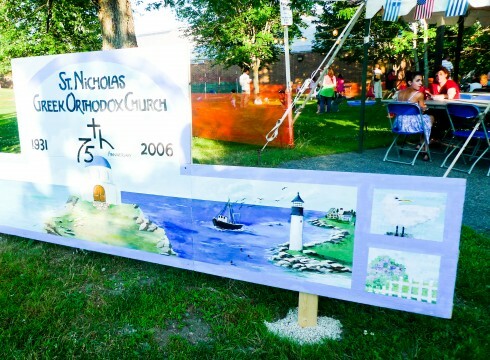 Perhaps Greek people just know how to throw a better party, but this happens to be one of my favorite festivities on the Seacoast. One can get meat on a stick, meat in a wrap, copious amounts of desserts, and very strong coffee. 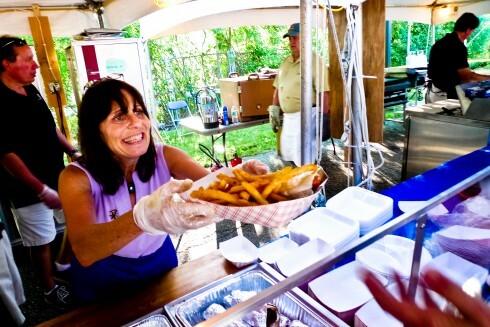 Maybe you have never been to a Greek Festival, but if you have seen My Big Fat Greek Wedding, well, it’s kind of like that. Seriously – when that movie came out, every one of my Greek and Middle Eastern friends went to see it with their entire families, and it was like watching reality television. 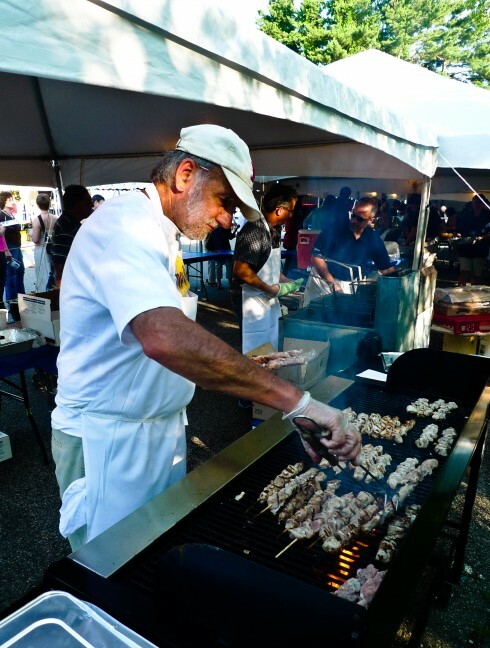 Greek festivals have been the place to go as long as there have been Greek people in this country. Many Greeks emigrated to America in the late 1800’s and early 1900’s. In an April, 1897 clipping from the New York Times we already see public announcements: “Greek Festival Here. The Grecian national fête will be celebrated in this city to-day, with services in the Greek Church, at 340 West Fifty-third Street.” Granted, at that time there was a holiday attached to the festival, and now mostly, summer seems a good enough reason to celebrate. On the Seacoast, St. Nicks is located in a rather unassuming place right next to the Portsmouth High School and has been around for over 80 years. The festival started about thirty years ago, and I’ve been going fairly regularly for over a decade. 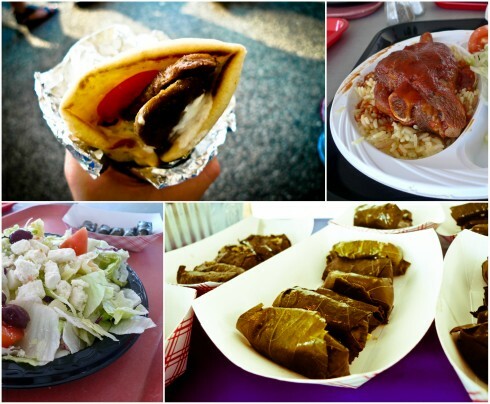 This year was exciting because Devon had never been to a Greek Festival, and it was the perfect event for him to experience both small town New Hampshire pride, and some “mother country” food. My parents came along, as did my childhood best friend Sara – who gets points here for putting up with my tourist-like camera-wielding action for the sake of my blog, even though she found it a touch embarrassing. 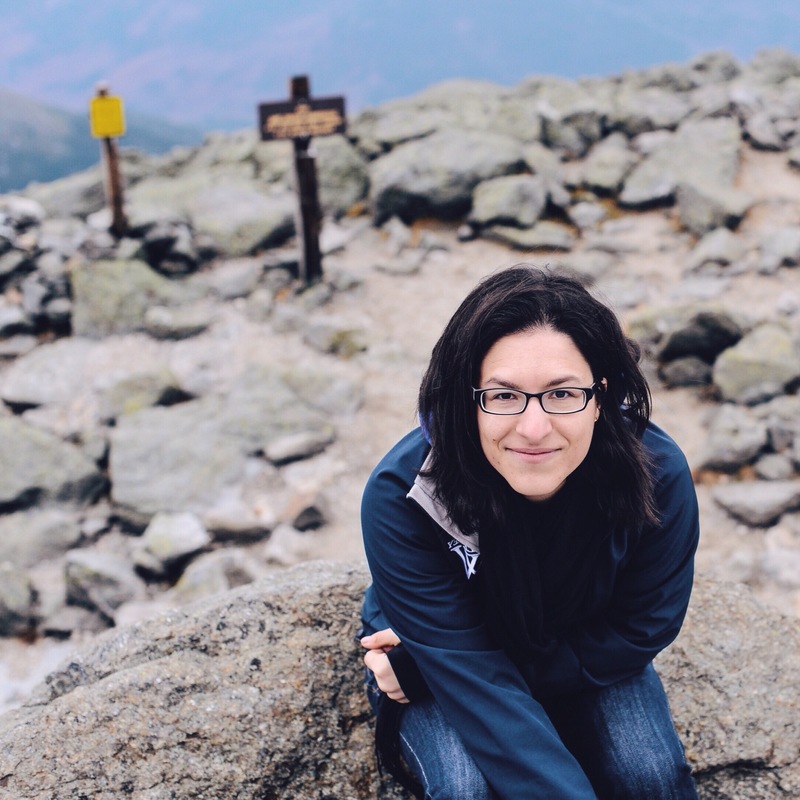 Food selections were mostly the classics: Souvlaki (charbroiled meat on sticks), or Pastichio (an ultra rich cross between mac and cheese and meat lasagna) or Moussaka (layers of baked eggplant, potatoes, and ground beef). I went with a traditional Gyro (grilled strips of lamb and beef in a warm pita with cooling tzaziki yogurt sauce). Both Devon and my mom thought this was a good idea as well, so we ended up getting three of the same thing. My dad had the Baked Lamb Shank in tomato sauce, served over rice pilaf. Sara got a Greek Salad, but frankly, as a vegetarian you get cheated with festival food. We ordered Dolmathakia (stuffed grape leaves) in olive oil to share, although I ended up sneaking most of them. The food was pretty great all around, except for Sara’s Greek salad, which suffered from being not much more than a massive plate of iceberg lettuce. The other failure was the breaded deep fried french fries which came out of a bag and were sopping in oil. Alas, you can’t win them all. After our meal, we took a brief respite from eating to watch the children perform (8!) Greek dances. This is always more popular than the band alone, and everyone gathers around to watch. I’m always particularly impressed by the kids who have been enlisted to do this, because I myself would have died of mortification. Next, we went into round two of eating: Loukoumades. These are essentially fried balls of dough, dipped in honey, and coated with cinnamon and powdered sugar. 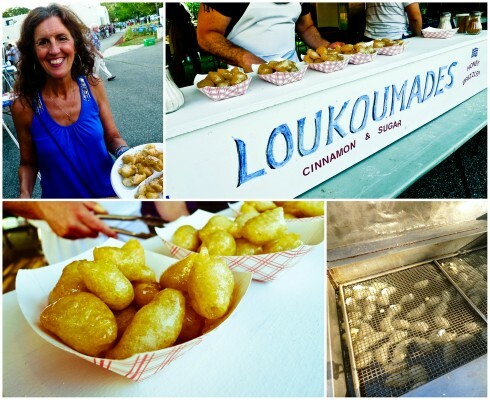 Unlike your typical boardwalk or amusement park fried dough, Loukoumades are surprisingly airy and light. Our next stop was inside the church hall to the makeshift market. 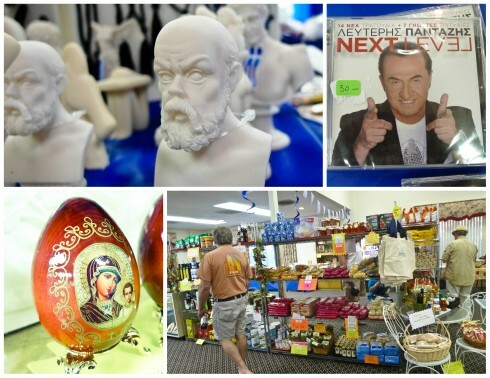 Here, all sorts of trinkets, t-shirts, and **phenomenally tacky** cds were for sale, along with a food market and tasting pavilion (in case you aren’t full yet, and would like to try some Greek honey or cheese to prime your stomach for round three). After shopping, we moved onto coffee. 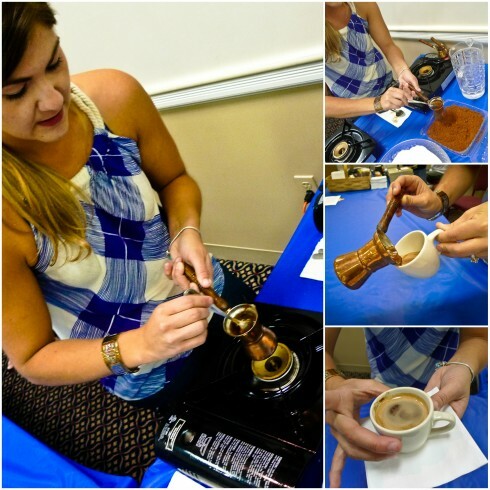 If you haven’t had Greek (or Turkish) coffee, you haven’t lived. These people know how to make coffee. Smoother and stronger than an espresso, a centuries old proverb sums it up well “Coffee should be black as hell, strong as death, and sweet as love.” Typically though, I like it a little less sweet than the old men drink it. The preparation involves stirring the grounds in a little pot, heating them up precisely, and adding a little sugar, and then pouring it all into a small cup, being sure not to pour in the dregs. If you are special, you finish your cup, turn it over onto the saucer, wait until it dries, and then let someone read your dregs (akin to reading your tealeaves). Preferably a grandmother. I know mine does. And finally, the highlight of the evening, dessert! 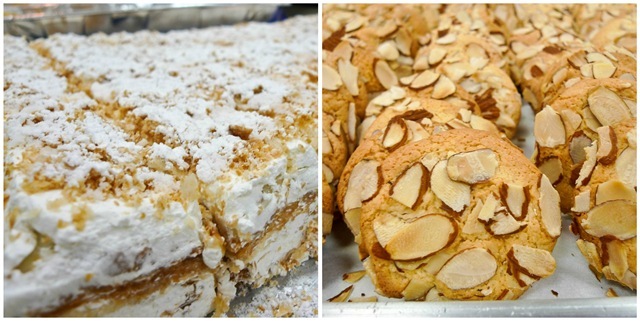 Greek pastry is so much more than the sad, oversweet baklava that you can find mass-produced for coffee shops. 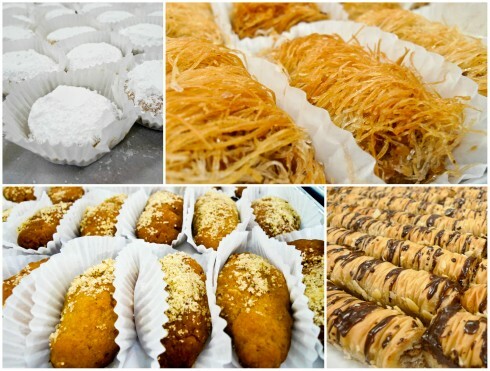 Greek pastry is a centuries old miracle of tweaking and finesse, resulting in perfect little bites of sweetness, richness, fluffiness and crunch. I will admit however, that by the time I arrived at the pastry station I had already been defeated, and it took all that was in me to even photograph the dessert. Here, clockwise from top left are some of my favorites: Kourambiethes (Greek wedding cookies with chopped almonds), Kataifi (finely shredded filo pastry with a walnut filling and honey syrup), Baklava (layered filo in a honey syrup), Amygdalota (almond macaroons), Mil-Feig (ie: mille-feuille, layered filo with pastry cream filling topped with whipped cream and almonds), and Finikia (greek spice cookies drenched in syrup). Despite my protests, my mother had the foresight to purchase a few Kourambiethes and Amygdalota to go. On our way out, there was still an ever growing line for the food. 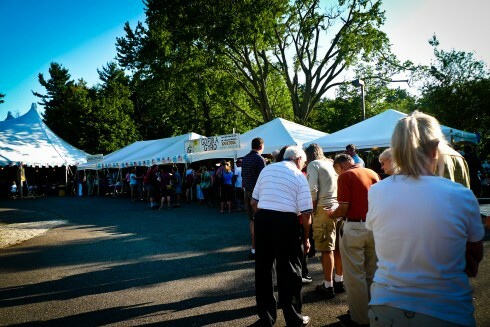 For those of you fortunate to live in near proximity to a Greek Orthodox church, I urge you to check out the local calendar to determine when their Greek Festival will be held this summer, and GO. Stop it – you’re making me hungry. Looks like a fantastic time. I will definitely keep my eyes open for a Greek festival in SF. Thanks for the report. Hope you’ll get to Greece one day. Thank you Eve! You should definitely – to my knowledge, there is only one in SF – in the last week of September. Well worth it!! You people were idiotic not to get the Pastichio. Out of everything they serve, its by far the best. Gyros are good, but doesn’t cut it when its a krynos cone gyro, compared to some homemade Pastichio.